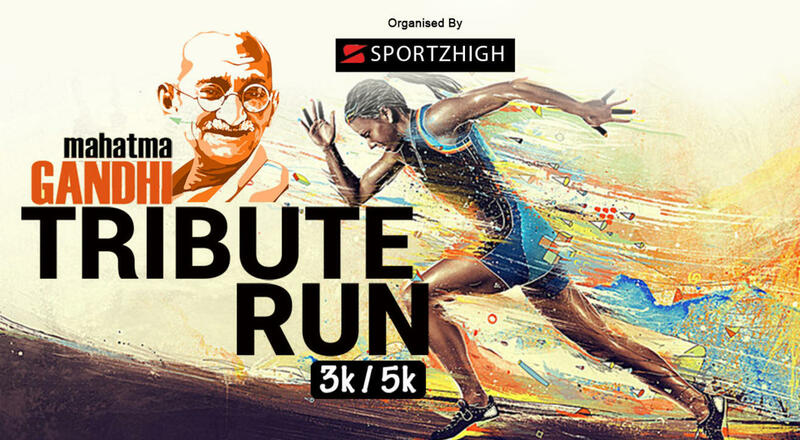 This October run to pay tribute to the father of the nation - stand out to spread the message of peace, non-violence, simplicity & faith! For each category, first 3 runners will be awarded with cash prize, gifts and vouchers. Each participant will receive a t-shirt, timed bib, healthy breakfast after run, certificate and medal. There will also be arrangement of healthy energy drinks at the venue and regular station on run route. The route plan will be shared on the event day to the participants; there will also be coordinators on the route to help people for a smooth run. Activity will start with fun warming session of Zumba, followed by run, certificates to participants and then the award ceremony. It is encouraged that everyone participates with family members and make it a memorable family weekend affair. What time should we report to the venue / event? - All participants are requested to report to the venue by 5:30 AM or at least 15 minutes before the event starts. What time does the event starts and ends? - The event starts sharp at 6 AM and ends at 9 AM. What all is provided for the participant? - T-shirt, timed bib, healthy breakfast, certificate and medals are provided to every participant, also warm up zumba session will be conducted. - Winners get surprise gifts and vouchers for each category for both men and women. What if the event gets cancelled or postponed? - The organizers shall see to it that the event does not gets cancelled or postponed, however in case of due to heavy rain or any other act of god if the event gets postponed, no refund will be provided in any circumstances, the passes shall stay valid for you to take part in the next scheduled event. Can we buy a couple pass? - Tickets should be bought in individual names/entry, as every ticket shall carry the unique identification number. Is the water available at the venue? - Of course yes, water stations will be well deputed at the stretch of every 1.5 km for the 3 km distance category, and at 2.5 km for a 5 km distance category; however the participant should carry their own reusable water bottle for the extra need of water. The organizers do not believe in land fill, and aim to keep this initiative absolutely litter free. All water stations shall have reusable or biodegradable paper cups.